Over a number of years, Digital Watt has continued to consistently deliver numerous challenging projects. Their tailored solutions are proven to be highly effective in helping our clients reach their goals. 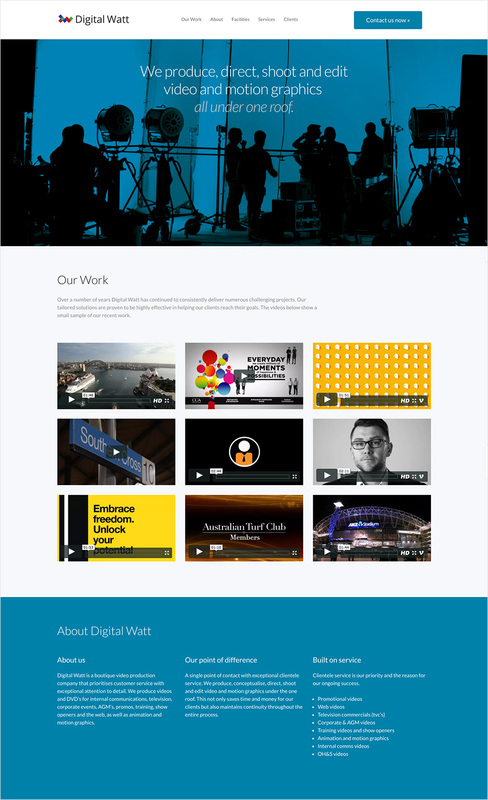 The Digital Watt website shows video samples of their recent work. Digital Watt is a boutique video production company that prioritises customer service with exceptional attention to detail. We produce videos and DVD’s for internal communications, television, corporate events, AGM’s, promos, training, show openers and the web, as well as animation and motion graphics. Keep up with news from around the web. We never spam or share your email.